Stocks inched higher Monday, as the market honed in on some notable mergers and tried to build on the momentum from Friday's better-than-expected jobs report. 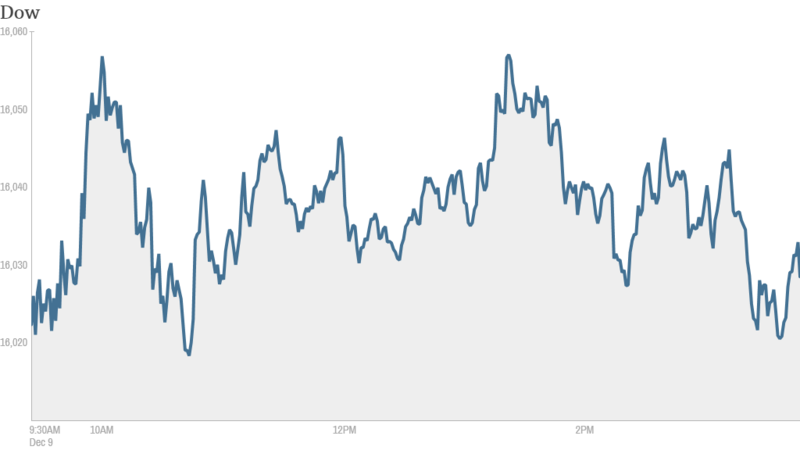 The Dow Jones Industrial Average, S&P 500 and Nasdaq all ticked up slightly. The strong jobs report showed the U.S. unemployment rate fell to 7% in November -- the lowest level in five years -- as more people said they were getting jobs and joining the labor force. Stocks surged Friday on that news. What's moving: Investors welcomed the debut of the largest airline in the world, as American Airlines Group (AAL), the giant born from the American Airlines and US Airways merger, began trading on the Nasdaq under the new symbol AAL. Shares of American Airlines advanced almost 3%. The deal, which cleared a series of legal hurdles, including an antitrust lawsuit this fall from the Justice Department and a last-minute challenge from a consumer group, was inked Monday morning before the opening bell. 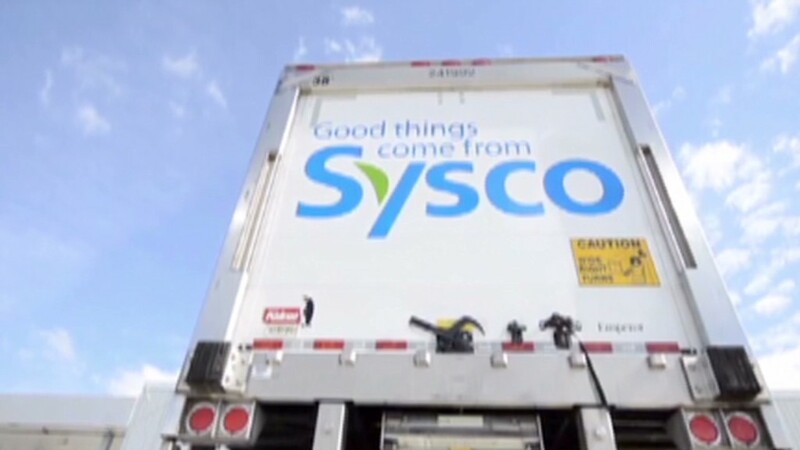 Sysco (SYY) soared more than 9% after the company announced plans to buy rival US Foods for $3.5 billion, bringing together two of the largest food distributors in the country. But the stock has been up more earlier in the day. And one trader on StockTwits was skeptical that the merger would muster approval from antitrust regulators. "The Feds will never allow this merger to come to fruition. Sysco: move on. Improve your bottom line through organic growth!" said abc3000. Another trader disagreed and said the deal would be a big plus for the company. McDonald's (MCD) fell more than 1% as the fast food chain reported a drop in U.S. sales for November. "US weakness persistent and getting worse at McDonald's - feels like a market share / perception issue...$MCD," said retail_guru. Twitter (TWTR) popped 9%, but with no news, it's unclear what was driving the stock higher. "$TWTR it is nice that it's up but don't get the twitter love today. What really has changed?" said momomiester. Shares of Baidu (BIDU), China's largest search engine, also closed higher, and the stock was among the top trending tickers on StockTwits. Like Twitter, there was no news to explain the move. But it appears that momentum is on its side. Shares are up more than 70% this year. "looks like the herd got it right on $BIDU," said 1nvestor. BlackBerry (BBRY) was under pressure again, with shares falling more than 2% and hitting a new 52-week low. Shares of the once dominant smartphone maker have fallen over 50% this year. In November, the company ditched plans to go private and investors are worried about BlackBerry's future. European markets closed mostly higher, while Asian markets ended with gains. India's Mumbai Sensex hit an all-time high following weekend elections that have raised hopes of more economic reforms.